“We lost another pioneering member of the motorsport world today,” Austrian Alex Wurz, a member of the Grand Prix Drivers’ Club that counted De Filippis as its honourary president, said on Twitter on Saturday. The official Formula One Twitter feed also mourned the passing of an ‘incredible woman’. Born in Naples on November 11, 1926, De Filippis started three grands prix in 1958 at the wheel of a Maserati and finished 10th and last at Spa in Belgium. She failed to finish in Portugal and her home race at Monza. In Belgium she had qualified 19th and last and was lapped twice. De Filippis also tried to qualify for the 1958 Monaco Grand Prix, with current Formula One supremo Bernie Ecclestone another who failed to make the cut that day. 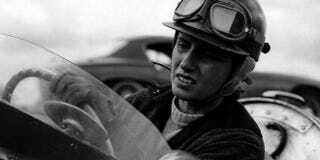 In 1959 she again failed to qualify in Monaco and then retired after the death that year of her Porsche team leader, French ace Jean Behra, in a sportscar race before the German Grand Prix at Avus. A 2012 book that marked the 50th anniversary of the Drivers’ Club recalled how De Filippis was greeted when she tried to sign up for the 1958 French Grand Prix in Reims. “The only helmet a beautiful woman should wear is the one at the hairdressers’,” race director Toto Roche said as he prevented her from entering. In her own introduction, De Filippis recalled the ‘difficulties and misunderstandings’ she had to overcome. “Many journalists, too, did not always want general news but tried to get me to talk about particular situations as the only woman in the field,” she said. She faced that also in later life, with many years passing before another woman lined up with the men. Only five women have entered a grand prix since the championship started in 1950 and Italian Lella Lombardi, the next after De Filippis, remains the only one to have had any success with sixth place in Spain in 1975. Lombardi made 12 starts, scoring half a point for her result in Spain after the race was stopped early due to a fatal accident. No woman has started a grand prix since Lombardi, although Britain’s Divina Galica (1976-78), South African Desire Wilson (1980) and Italian Giovanna Amati (1992) all tried to qualify.